Guest cast: Vyto Ruginis (Arkady Kolcheck), Bar Paly (ATF Agent Anastasia “Anna” Kolcheck), Marsha Thomason (NCIS Special Agent Nicole DeChamps), Peter Jacobson (Special Prosecutor John Rogers), Reiley McClendon (Marine Staff Sergeant Brad Hawkins), Michael Galante (Marine Reserve Staff Sergeant Ernie Garza), Sarah-Nicole Robles (Maia), Rich Hutchman (Alvin), Hira Ambrosino (Orthopedic Surgeon Dr. Evans), Albert Kong (Maze Cooper), Kate Mines (Vicki), Nazo Bravo (Joe Jirani), Janora McDuffie (Nurse Natasha), Dustin Green (Wasted Guy), Skyler Davenport (Mellow Woman). Air Date: Sunday, Dec. 16 (9:30-10:30 PM, ET/9:00-10:00 PM, PT) on the CBS Television Network. "Joyride" -- Pictured: Marsha Thomason ((NCIS Special Agent Nicole DeChamps) and LL COOL J (Special Agent Sam Hanna). 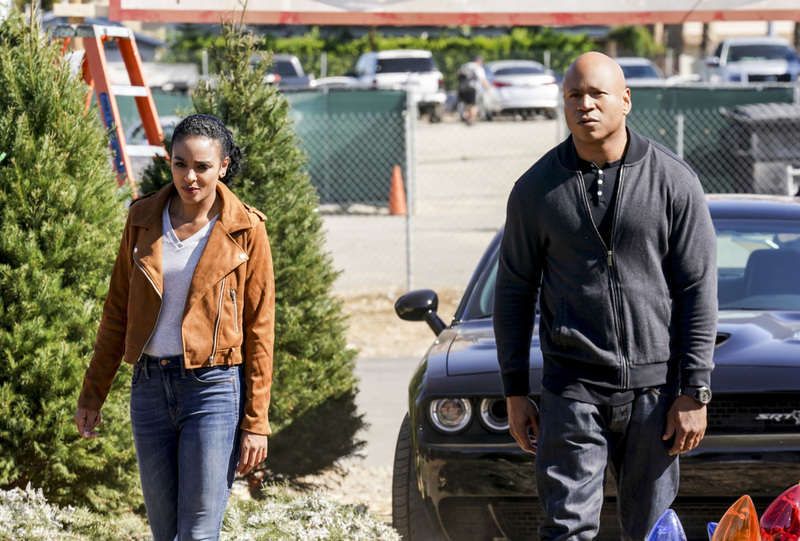 The NCIS team is joined by NCIS Special Agent Nicole DeChamps (Marsha Thomason) after a Marine reservist with a history of PTSD disappears following a drunk and disorderly altercation, on NCIS: LOS ANGELES, Sunday, Dec. 16 (9:30-10:30 PM, ET/9:00-10:00 PM, PT) on the CBS Television Network. Photo: Monty Brinton/CBS ÃÂ©2018 CBS Broadcasting, Inc. All Rights Reserved.